Mr Goh Yeow Tin is the Non-Executive Chairman and an Independent Director of TLV Holdings Limited. He is also currently the non-executive chairman of Seacare Medical Holdings Pte. Ltd. and sits on the Board of Directors of other listed companies including Singapore Post Limited, Sheng Siong Group Ltd., Vicom Ltd., AsiaPhos Limited and Lereno Bio-Chem Ltd. He is also a non-executive director at Linknet Asia Pte Ltd, WaterTech Pte. Ltd., Seacare Manpower Services Pte Ltd and Edu Community Pte. Ltd.
Mr Goh is an active figure in public services and in recognition of his many years of social and community services, he was awarded the Public Service Medal and the Public Service Star by the President of the Republic of Singapore in 1998 and 2006 respectively. Mr Goh is a member of the Singapore Institute of Directors. He holds a Bachelor's degree in Mechanical Engineering (Honours) from the National University of Singapore and a Masters' degree in Engineering from the Asian Institute of Technology. Mr Michael Teo is the Managing Director and co-founder of TLV Holdings Limited since 1997. Together with the Group's Executive Director, Mr Ang Kah Leong, he sets the overall strategic and expansion plans of the Group. Mr Teo oversees the business development, procurement and the overseas operations of the Group and is instrumental in maintaining working relationships with suppliers and customers. He has also spearheaded the Group's growth, leading the expansion of its retail and wholesale operations. Mr Ang Kah Leong is the Executive Director and co-founder of TLV Holdings Limited since 1997. Together with the Group's Managing Director, Mr Michael Teo, he sets the overall strategic and expansion plans of the Group. Mr Ang oversees the day-to-day operations, business development and management of the Group's business in Singapore. He was also instrumental in the Group's growth, leading the expansion of its retail and wholesale operations. 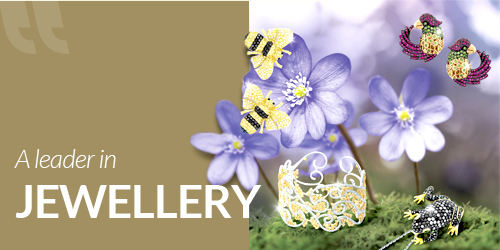 Mr Ang has over 30 years of experience in the jewellery industry, having started out as a freelance craftsman. Mr Lu King Seng is an Independent Director of TLV Holdings Limited. He has more than 20 years of commercial and audit experience in London, Singapore and Malaysia. He is currently the managing director of Orion Advisory Pte. Ltd. and Orion Business Advisory Pte. Ltd. He is also served as an independent director of Geo Energy Resources Limited and Green Build Technology Limited (formerly known as Youyue International Limited). Mr Lu is a fellow member of the Association of Certified Chartered Accountants, a non-practising member of the Institute of Singapore Chartered Accountants and a member of the Singapore Institute of Directors. Mr Lu graduated from the Emile Woolf College of Accountancy in London, United Kingdom and obtained a professional qualification from the Association of Certified Chartered Accountants in 1995. Mr Chua Kern is an Independent Director of TLV Holdings Limited. He is currently a director in Chancery Law Corporation, having co-founded the firm in 2005. Mr Chua has more than 16 years of experience in the legal industry and his practice focuses on the areas of corporate finance, securities and capital markets and mergers and acquisitions. He also advises companies listed on the Mainboard of the SGX-ST and on Catalist in respect of their corporate finance activities and other major corporate actions. Mr Chua was admitted to the Supreme Court of Singapore as an Advocate and Solicitor in 1997. He graduated with a Bachelor of Laws (Hons) from the University of Bristol, United Kingdom in 1995 and obtained a Diploma in Singapore Law from the National University of Singapore in 1996. He is a member of the Law Society of Singapore and the Singapore Academy of Law.